Ms. Johansson’s publicist has informed me that Napoleon and Betsy, Amazon and Brilliant are on hold for the moment. The next film that she is doing is The Other Boleyn Girl, which will start filming in London this fall, as reported a couple of updates back. 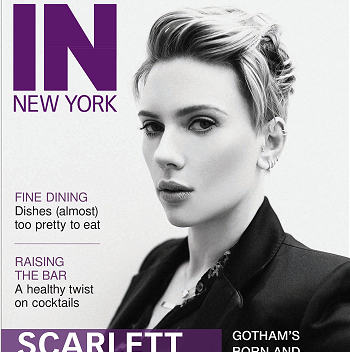 Welcome to the new version of Scarlett-Fan.com! Thanks to the very talented Jess, we have a new, summer-y look to celebrate the July release of Scoop, which sees Scarlett Johansson in the role of Sondra Pransky in the Woody Allen film. We also have a whole bunch of new features, including the Calendar, where you can find Scarlett’s past and upcoming happenings and the Style Pages, which focus on Scarlett’s unique sense of fashion. I want to say thanks to Maria, Sana and Lisa for their help with these new sections! And if this is not enough to impress, there’s lots more suprises coming very soon so be sure to keep your eyes peeled on this site! Also, the affiliate applications are open again and we’re also looking for new top affiliates. If you run a high quality site, do not hesitate to apply! Scarlett Johansson will join Natalie Portman and Eric Bana in The Other Boleyn Girl for helmer Justin Chadwick. Pic, based on Phillippa Gregory’s historical novel, is being produced by Scott Rudin Prods., Ruby Films and BBC Films. Story centers on two ferociously ambitious sisters, Mary and Anne Boleyn, who were rivals for the bed and heart of King Henry VIII. Portman and Johansson will star as the sisters, with Bana playing the King. Peter Morgan penned the adaptation. Sony is distributing domestically, with Focus Features handling international distribution. Shooting starts this fall in London. Johansson next stars in Woody Allen’s Scoop, out July 28, followed by The Black Dahlia on Sept. 15 and The Prestige Oct. 27. She just wrapped The Nanny Diaries. Scarlett will be making an appearance on Late Show with David Letterman on July 26, 2006 to promote her newest film, Scoop. Be sure to mark your calendars.